This year Everyday Scholé is taking an in-depth, practical look at the eight principles of classical education. This month we are looking specifically at multum non multa or much not many. 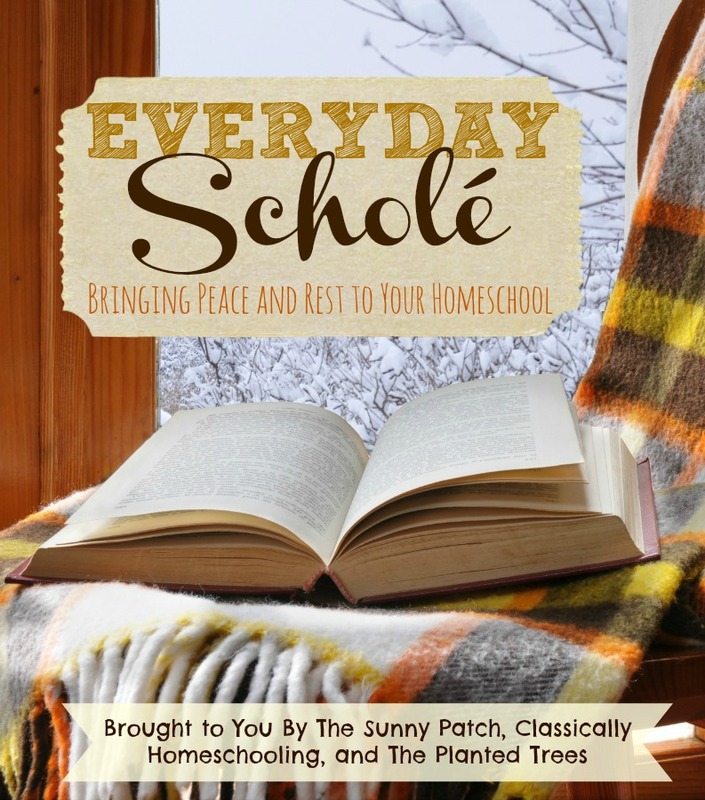 You can also check out the previous posts in this series: Charlotte Mason and Classical Combined and Slow and Steady in Your Homeschool. Less is more. Quality over quantity. Depth not breadth. Jack of all trades, but a master of none. All of these quips are English equivalents to the second principle of Classical education: multum non multa or much not many. This concept is readily seen in our everyday lives. All of us have discovered that threshold of how much we can handle before we are doing too many things that we can’t do any of them well. The irony of the situation is that in the realm of education, the opposite seems to be true. Everyone crams more and more subjects into the school day because there is just so much children need to learn. However, logically and scientifically, we know that this is a faulty approach. As Dr. Perrin says in his video, “What exactly do you remember about your public school education? Do you feel you mastered any subject or just skimmed a variety of topics?” So what did educators of days gone by, specifically Charlotte Mason, know that we have forgotten today? 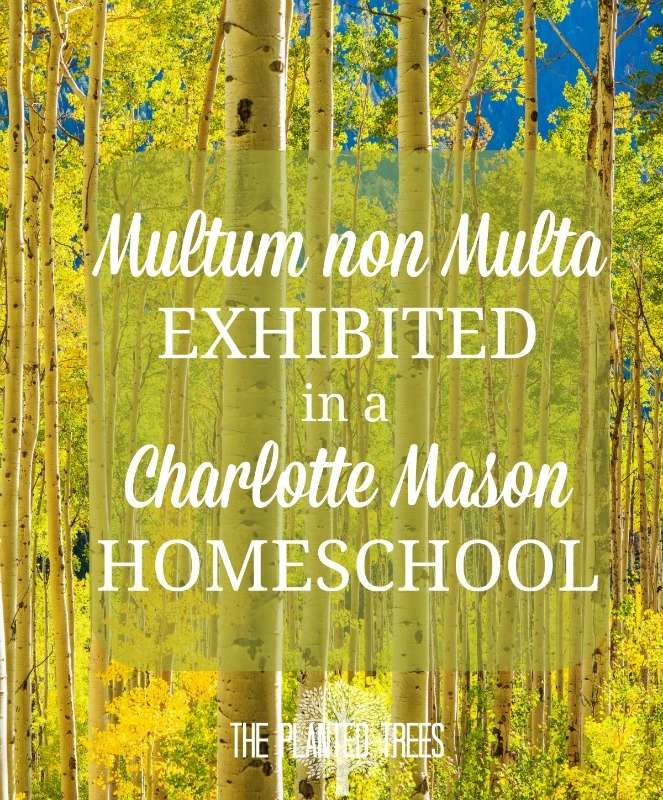 When you look at the schedules of classes from Charlotte Mason’s schools, the amount of subjects covered seems to be the total opposite of multum non multa. It’s true that when you write out the subjects covered in a traditional Charlotte Mason education you discover a lot of boxes to check off, grammar, writing, foreign language, nature study, history, music, math, copy work, Plutarch, etc. How am I supposed to create an educational experience for my children which is deep and rich into a handful of subjects at a time when there are so many items that must be covered in a Charlotte Mason education? Here are four core Charlotte Mason tenets that actually promote multum non multa. Of all the educational ideas CM espoused this one seems to fly directly in the face of multum non multa. It’s hard to focus on a few subjects at a time (depth) if you’re trying to spread the feast of knowledge for your students (breadth). Unfortunately I believe this phrase is woefully misunderstood. Imagine for a moment you are an ant on the trunk of an aspen tree. You climb down, down, down the trunk until you are underground. Once you reach the tree’s root system you discover that multiple root systems are intertwined below. 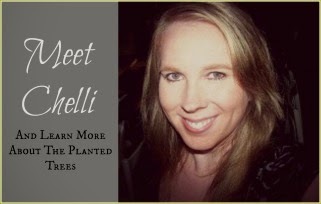 You follow along some of the roots before deciding to head above ground again. When you emerge, you find yourself on an aspen tree a few yards from the first tree. At that moment, you realize that all of the aspen trees in this grove have an interconnected root system. On the surface they look like individual trees, but below ground they are actually all entwined. Spreading the feast is just like a grove of aspen trees. On the surface it looks like separate items or subjects of a feast of knowledge, but as you study and learn, the more related and connected the subjects become. Charlotte Mason actually incorporated time for this to occur in the school day. 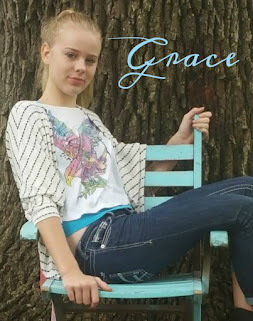 She knew that the goal of education was not to have a wide knowledge about a variety of subjects, but to take your knowledge and make connections across subjects and ideas that can only be found when a student can really spend time in their studies. Charlotte Mason was a firm believer in using one educational practice to cover as many educational components as possible. This belief is most seen in language arts. In a CM school, students would use their copy work or dictation for the day to cover grammar, writing, and spelling. And where did teachers get the sentences or paragraphs for the students? Right out of the awesome living books the children were reading about various subjects. 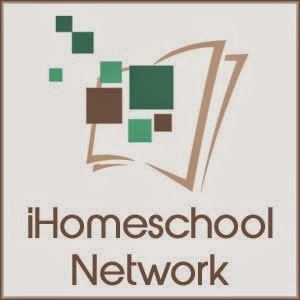 Today in most CM homeschools we treat these disciplines as separate subjects, but they were not. They were completely intertwined. The problem is that usually we, as parents, do not feel competent enough in our own grammar and writing knowledge to use copy work or dictation as a jumping off point to teach. I’m actually attempting this approach with Sophia right now and so far so good. It takes a little more preparation on my part, but it’s really given richness to our language arts study that was missing before. Nature study was another area that did double duty in Charlotte Mason schools. Usually we tack nature study on our week as something fun to do if we can make it work, but if we get too busy it’s one of the first things tossed aside. Spending time outdoors in nature was an enormous part of CM teaching philosophy. Throughout all grades, students spent the bulk, if not all, of their afternoons outdoors. Of course, they weren’t formally doing nature study that entire time, but they were to be constantly observing. Why? Because this was science. Observation, learning about the world around you, and knowledge of wildlife and plants are how science was learned throughout elementary grades. Every one of the science disciplines (biology, physics, chemistry, etc.) are found in nature. 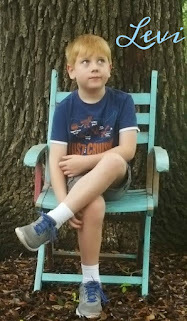 In many homeschools today, though, studying science via the natural world is pushed aside so that science can be studied in separate disciplines each year. The hallmark of a CM education is narration. Unfortunately it is usually misunderstood and misused. Narration once you pass the early elementary grades is more than just a retelling of what they read or what you read. Narration in the older grades is the time when the connections of learning, the diving deep, are made. As children narrate they are to use past knowledge and learning and incorporate it into their current studies. The observations made are children showing they are diving deep, they are truly understanding, they are climbing around the root system and crawling up another tree. As a CM homeschooler it helps me to know this is the goal of narration. 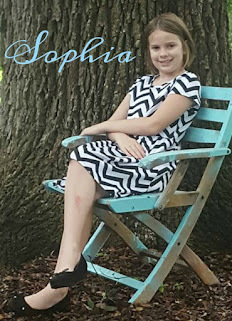 I can help my oldest child draw out those connections by listening to her narration and asking questions (socratic method in classical education vernacular) to help her think about what she’s read in a deeper way, leading her to some of those connections by discussion and a mutual sharing of ideas and experiences. She almost always comes back to me after these talks and adds more to the conversation because she’s been ruminating on her own. The quote from which multum non multa originates is specifically in reference to books. It’s better to read great books than many books. I’m sure Charlotte Mason would have given a hearty, “Amen!” in response. She knew that children love to listen and read well-crafted narratives on a variety of subjects. She also knew that these books needed to be savored and experienced slowly. While CM was a lover of great books, she also didn’t over schedule them. One of the first things I noticed when I began really exploring CM’s original school schedules is how long the students would read a book. Some were read over the course of two or more years. Most were read slowly over a semester. The amount of living books that were read, though, were relatively miniscule compared to the lists of books read by CM homeschoolers today. I struggle so much with this so I made it a point this year to 1) schedule required reading and 2) not over-schedule required reading. Such a struggle when you love books as much as I do and want your children to read them all! However, I can honestly say that the slower pace has benefited us all. The kids are really able to learn from the books and by the time we finish, they feel like old friends because we’ve spent so much time with them. The most unexpected benefit was that I found my children chasing rabbit trails on their own time because of something they read in a living book. This exploration and self-directed learning is what multum non multa is all about. 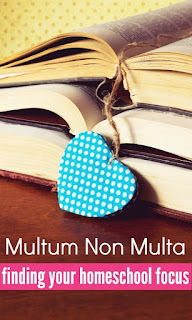 For further reading on multum non multa and how it works, check out the posts by my fellow Everday Scholé bloggers, Tonia and Sarah. 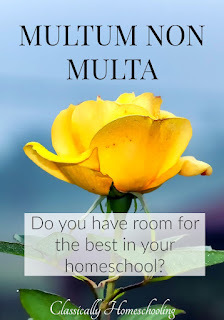 How do you practice multum non multa in your homeschool? It's definitely a push and pull situation of doing enough and doing too much. Many times there is a fine line between the two, but I always try to err on the side of less. I'm glad the post helped you! Great article. I needed this to remember why I'm doing this. Sometimes I start stressing about getting everything in and this is what I needed to take a step back. Thanks! You are so welcome! Stress about making sure to do everything is my problem as well.